Research by the University of Southampton, which will explore how light can be used in new ways in innovative manufacturing processes and technologies, will share in £3.6 million funding. Vince Cable, Secretary of State for Business, Innovation and Skills announced the funding as he toured M Squared, a laser development company, in Glasgow. Mr Cable said: “This new funding will develop research to support the UK’s growing manufacturing sector which already employs around 2.5 million people. This early stage research will give businesses such as M Squared a great opportunity to develop new technologies to create more effective and efficient manufacturing processes. 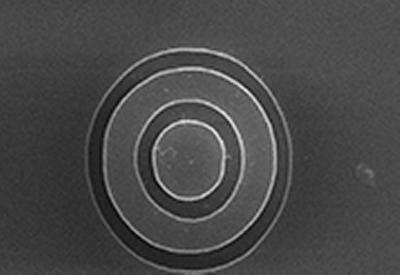 Two projects led by Professor Rob Eason from the Optoelectronics Research Centre (ORC) at the University of Southampton will receive funding. The first, which has industry involvement with M Squared and ELforLight, will create high-power laser devices that can be adopted by the UK manufacturing sector. The second, involving Laser Micromachining Ltd and De La Rue International Ltd, will investigate the use of digital multimirror devices (DMDs) to optimise laser-based processing technology in areas such as security, safety, and anti-counterfeiting. Professor Rob Eason said: “It is very pleasing to have been awarded two of these EPSRC Manufacturing with Light grants for laser-based UK manufacturing applications. The first one – Lasers making lasers – is set to deliver designer laser waveguide chips, grown by lasers, for laser-based machining and processing end applications. The second grant will focus on an equally exciting area of laser manufacturing on the micro- and nano-scale in materials such as metals, composites, diamond, polymers and banknotes.